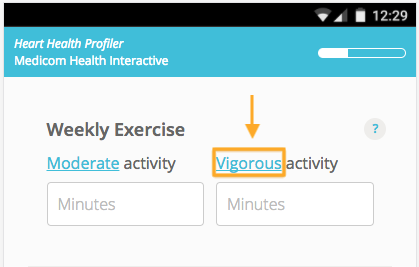 We’re now tracking a few new analytics events for v3 Health Assessments, in addition to the previously-tracked analytics provided in v2 Health Assessments. 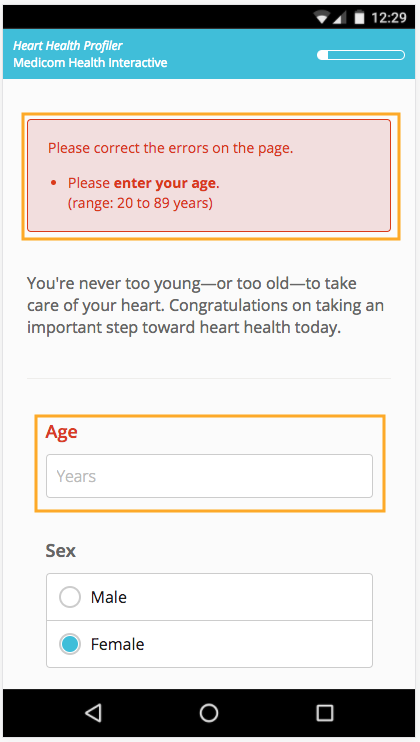 If someone tries to move through the Health Assessment without completing all of the required questions, they receive what is known as a validation error. 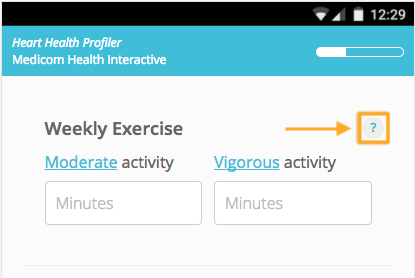 Our new v3 Health Assessment now track validation errors to let you know where the highest number of errors occur as users are moving through your Health Assessment. 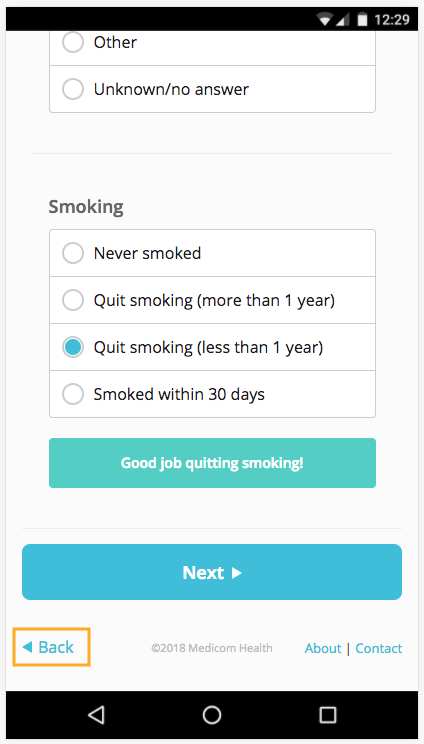 Tracking back button click events shows how many times users are moving back and forth between different pages on your Health Assessments. We track how many people are clicking on “more information” links and icons. The more information sections providers with additional information needed to answer some questions, particularly those that are more clinical in nature. We now differentiate between clicking on a link within a question, and clicking on a “more information” icon. 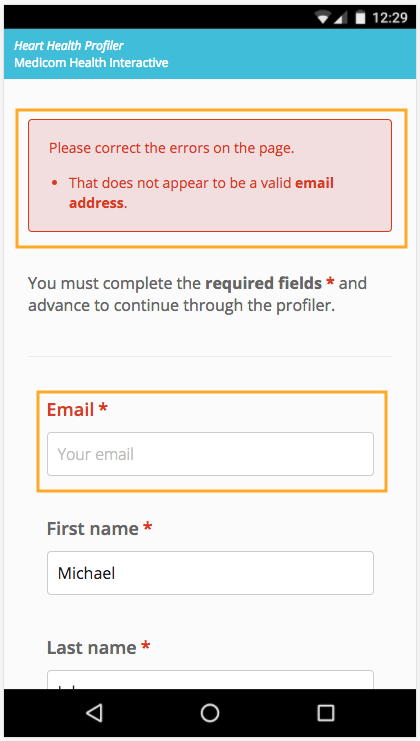 You can now see validation errors on the contact form page. This may be helpful in showing what information users are reluctant to share, or which pieces of contact information are more easily overlooked than others. As in our v2 Health Assessments, we’re offering certain types of integrations for analytics and tag management as well. We currently offer integrations with Google Analytics, Google Tag Manager, and Tealium tag manager, and these offerings will continue into our v3 Health Assessments. These services allow you to track snippets of analytic events that you pre-define, as is the case with Google Analytics; you can also track aggregates of code, as is the case with Google Tag Manager and Tealium. These integrations can be set up in the Analytics section of the new v3 Customization dashboard. For more information about how you can use event tracking and analytics integrations with your v3 Health Assessment, contact your Customer Service Representative today.